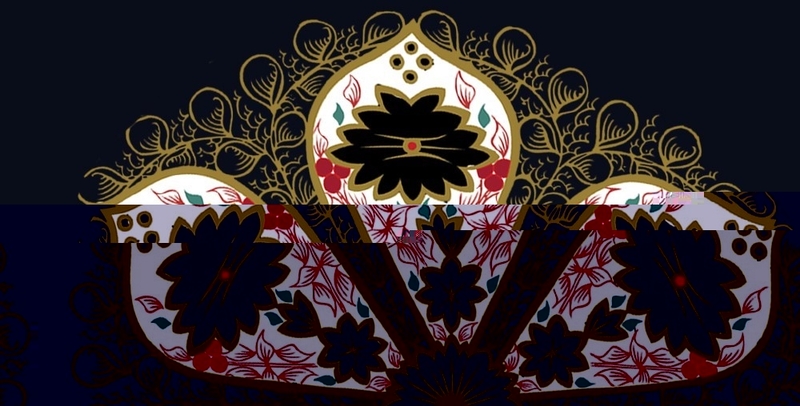 Blog - The History of Royal Crown Derby’s Old Imari Design. 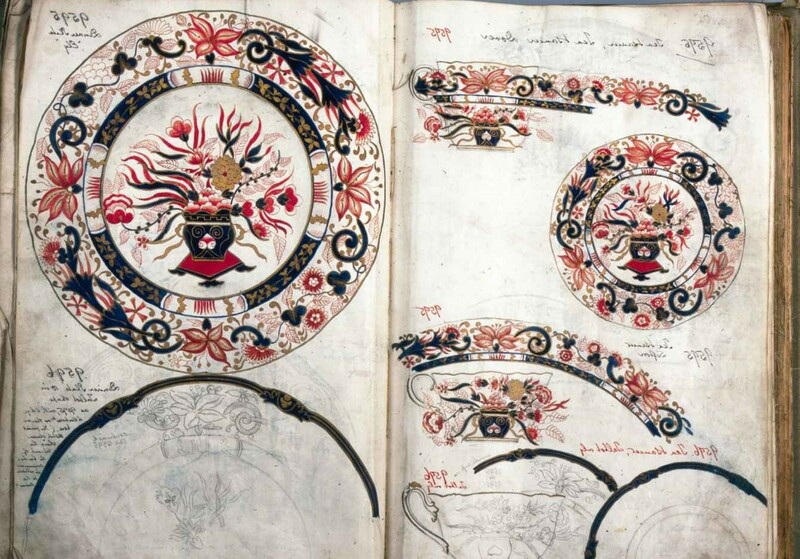 The History of Royal Crown Derby’s Old Imari Design. The Old Imari and Old Imari Solid Gold Band patterns are synonymous with Royal Crown Derby and have become recognisable worldwide. This Autumn we have decided to delve into the history behind this ever-popular pattern. Take a look below to find out the exciting history behind this stunningly classic archival pattern. The distinctive 1128 Old Imari pattern dates back to 1882, where it is recorded in Royal Crown Derby’s Pattern Book number 2. Inspired by traditional designs imported from Japan and China to Europe in the early decades of the 18th Century for the aristocracy to showcase their wealth and exude luxury, owners often made spectacular displays to showcase their Imari Wares. Manufacturers throughout Europe started creating stunning porcelain pieces inspired by these wonderful wares in the late 18th century and early 19th centuries, bringing this style to the forefront of fashionable taste. The Derby porcelain factory established itself firmly within the Imari wares market by creating a wide assortment of designs that were inspired by the original eastern designs with interesting names such as ‘Witches’, ‘Grecian’ and ‘Duck’. Many versions of the Imari Ware design have been created but pattern number 1128 or ‘Old Imari’ is still as popular with discerning customers and collectors alike creating a stunning timeless design. Old Imari Solid Gold Band is just as popular and recognisable as the original Old Imari to collectors and customers alike. Debuting in 1966 with a boxed after dinner coffee set for six people this spectacular version was born. The after-dinner set was designed with ‘special presentation decoration’ on the handles and bands in solid 22 carat gold hence the name ‘Solid Gold Band’. Although as it was seen as such a special variation to the already intricate and ornate Old Imari, at the time of production the pattern was referred to as ‘Special Gold Band’. In the past 60 years since Old Imari Solid Gold Band was created many new and exciting pieces have been added into the range due to popular demand, with many of them still in production today. View the Old Imari Solid Gold Band Giftware Collection here. 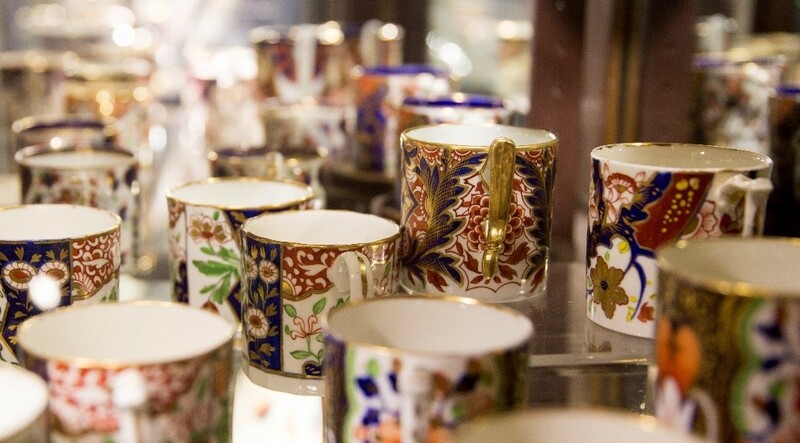 The Museum at Royal Crown Derby’s Visitors Centre houses the most comprehensive collection of Derby Porcelain to be seen anywhere in the world throughout our 267-year history, including a stunning collection of Imari Wares. The Museum, located on the first floor of the Visitor Centre, provides a fascinating insight into the company’s heritage. Discover Royal Crown Derby’s rich, quintessentially British history whilst perusing the accredited museum’s remarkable collection from the extensive archives. Explore the current exhibition, 'High Society | London Connections', which gives a fascinating and in-depth insight into our heritage. To find out when the museum is open and to plan your visit, go to our Visiting page. Or to discover the Royal Crown Derby story, visit our History page. 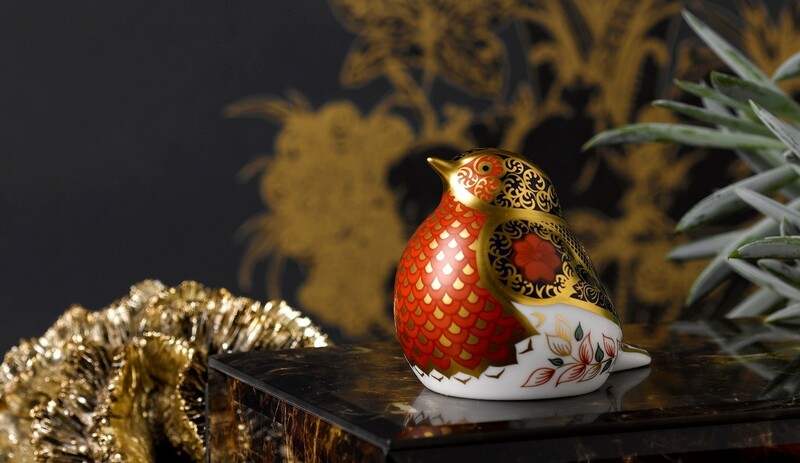 Why not give a very special gift of luxury this Autumn with 20% off selected Old Imari Solid Gold Band giftware available from 22nd September to 23rd October. Also, we are giving away a FREE Imari Wares book by Ian Cox with any Old Imari Solid Gold Band purchase during this period so you can discover the wonderful history behind this ever popular design.